Home Androids Doubting something? Technology 5 Chinese Apps that can be used to root an Android phones | How to root your android phone with/without a PC(2015). 5 Chinese Apps that can be used to root an Android phones | How to root your android phone with/without a PC(2015). Rooting you android phone is very important as it helps in giving you access to all parts of your phone. However, rooting without a computer can greatly improve you’re your chances of data loss amongst others. Note that rooting as well reduces your phone warranty among others. There are tons of apps out there in Google play store as well as other android app stores that can you can use to root an android device. Some will require your computer to be connected to your phone while others will just do the ‘’magic’’, no PC needed. Among the thousands of apps that can do these, I will share with you today 5 apps I believe are worth trying. For the apps that have android version, you can choose to use a pc or not to. Let us focus today on the top 5 Chinese rooting apps worth using. If you have the android version, I believe the steps are easy to follow. However if you are faced with any difficulties, feel free to leave a comment and I will suggest a solution. An android device fully charged or greater than 60 percent. With all the requirements set, you can follow the following steps. Make sure you back up your data for safety reasons. ==1 On the Settings menu, selectDeveloper options and enable USB debugging (If you cannot find Developer option then read here). ==2 Open the VRoot software on your computer. ==3 Connect your android device on a pc using the USB cable. ==4 Be patient until the model of your device is displayed on the VRoot software. == 5 Then click the "Root" button in green to start the rooting process. When the process is complete, your device will reboot and you will see a confirmation message displayed by the sotware. That is it. 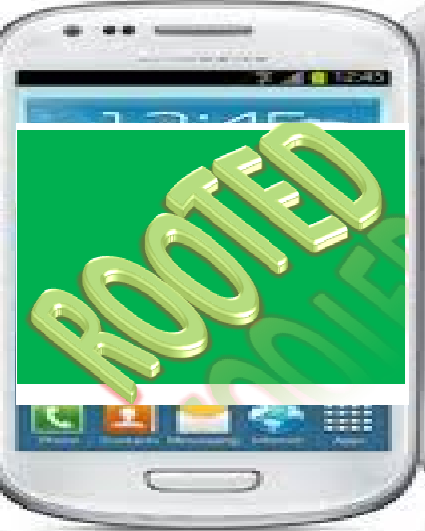 you now have a rooted android device , Thanks to Vroot. Let me know your results. This is an excellent app available at apxadtracking,net. It is another excellent Chinese app that makes rooting easier. This app gives you the opportunity to root your devices without a computer. ==> Download the apk file and install the app. ==>Click get root and within a few seconds, your device will be rooted. Now that ,your phone is rooted, you can manage your software with ease ,have a phone with improved speed and other great features thanks to root master. This app is available in both windows and android versions. The desktop and mobile versions are also available This Chinese app by KingRoot Srudio is excellent in rooting mobile devices with/without a PC. It can be downloaded at http://www.kingroot.net/ It is excellent in rooting phones like htc, sony xperia, samsung, Huawei, Nexus among others. ==> Download and install KingRoot on your android device. ==>Click on START Root if root access is available. ==>wait for some time until you see a tick displayed on your screen. This is only when the rooting is complete. Restart your device and enjoy all hidden features. You will see a tick when the rooting is done. Make sure you are connected to the internet during the rooting process. The app is also available on desktop and pc versions. The app can be downloaded at http://baiduroot.net/?scn=1 . Rooting can be done as follows with your android device. ==> .Click on”A key to get Root Privilige” button. ==> Rooting is successful if you see the message Displayed below. This is another great Chinese app, that is noted for rooting android devices without a PC. ==>Download and Install the app from apk file . ==> wait for some minutes. Rooting is successful if you see Device Rooted displayed on your screen. Make sure you meet the following requirements when rooting a phone. We are aware of customers & Business needs for android application development, thus offering Android, Windows and iPhone app development services..
Good to know this post helped you. Hope to see you around. Hi Josh.,let me know the problem you are being faced with. Hello I am using android 6.0 i have used kingroot but isn;t working at all, it is even unable to open in my infinix note 3, any other recommendation How to Root Android? I have outlined 5 app. youcan try another app other than King Root. How to root android phone without leaving any physical traces of rooting in the target phone? Which apk will not appear in application manager? Thanks to introduce with this amazing tool with us and get more detail about How to Root Android Phone to root your cell. Hi, Thanks for the comment. Hope to see you aroundnnext time. Android app development can be a profitable step for your business as with one app, you can interact and reach out to its 100 million plus users. Please avoid links in your comments. forms filling. Just look at the service edit form (Website). Its pretty easy to use. I think you can get a free trial if you ask for it.|Great ideas!